We are counted amongst the leading names of the industry that are engaged in manufacturing, supplying and wholesaling an attractive array of Protection Goods. The offered range of articles is manufactured by our experts as per the international standards of quality. Offered range Arm Protector, Split Bib Apron With Cord, Split Bib Apron With Belt and Split Foot Guard With Adjustable Elastic. These articles are available with us at market leading prices. From the day of commencement, we are engaged in catering to the variegated requirements of the customers by bringing forth a comprehensive Split Bib Apron with Cord. Extensively used in various industries, these products are developed in adherence with the industry set standards. With the aid of sophisticated machinery and technology, these products are developed to attain maximum satisfaction of our clients'. 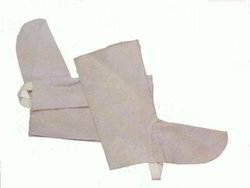 Owing to the sprawling infrastructure, we have been successful in catering to the variegated requirements of the customers by providing them with Split Foot Guard with Adjustable Elastic. These products are manufactured using optimum-grade fabrics that are procured from certified vendors of the industry. In addition to this, we test each product on various stages, prior to dispatch at customers' premises. With the aid of modern tools and sophisticated technologies, we have been able to provide the customers with an astounding assortment of Arm Protector. These protectors are developed at our in-house manufacturing unit under the guidance of our professionals. Further, before dispatching, we test each product on different stages to ensure flawlessness. 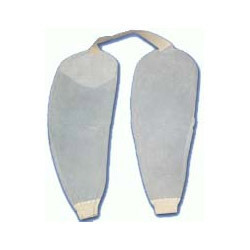 We are into manufacturing, supplying and wholesaling a comprehensive assortment of Quality Arm Protector. Perfectly stitched, our offered products are manufactured utilizing high-grade fabrics that are obtained from accredited vendors of the industry. Further, our quality controllers test each product rigorously, before dispatching to the customers' premises. The products offered by us are manufactured in compliance with the industry set guidelines. 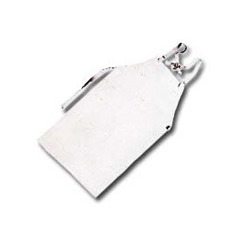 Over the years, we have been able to provide the customers with an astounding assortment of Split Bib Apron with Belt. Available in various sizes, these products are manufactured using high-grade fabrics and other basic material that is obtained from reliable vendors of the industry. The products offered by us are developed at our modern infrastructure under the supervision and guidance of our experts.